In anticipation of Art Bell's New Year's prediction shows, I started a Google hunt to see what other 2007 predictions were out there. From the downfall of blogs, the upswing of RSS, J-Lo getting preggers, and Pittsburgh winning the Super Bowl - 2007 is shaping up to be a year of ups and downs. New York Post: Psychic Celeb News from Cindy Adams! Fireflies in the Clouds: Matt Dinniman gives readers a laugh, afterall he was a telephone psychic—once. Messaging...Technolgy...Life: Blogging has to slow at some point. Josh thinks it's going to be this coming year. 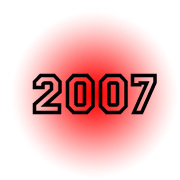 My own Web site, the High Weirdness Project, has also been collecting reports of psychic predictions for 2007. If you or your friends come across one that we haven't mentioned yet, please let us know! Thank you very much. Hey, I'm going to be all over that Art Bell show tonight. Coast to Coast rules. As a supposed psychic there have been some revelations I'd like to share with the public. Yes, I've gotten some wrong. Plenty. However, I've gotten quite a few right too. I've been making predictions since 2002. But never went public until I got a blog around 2005. ...I've got some world/national predictions I can come back and post later. Everybody seems to want to know about Celebrities so I've done those first. 1. James Brown dies by 2006. Records re-issued as hits. 3.Chicago Bears to go to/win Superbowl in 2006 (okay they went the next year). 5. Predicted the Snipers would be black (I had no blogsite back in 2003...This was more of a private prediction I made to friends. 3.Rapper Nelly involved in more controversy and his rap group, St. Lunatics breaks up. 4.Jennifer Lopez loses lots of weight, dangerously so. 14.Roy Jones Jr. diagnosed with glandular/thyroid issue (big reason he's been losing fights). 15.Political rap makes a comeback, Public Enemy figures. 18. Fantasia Barrino will announce she's pregnant or adopting a child. 19. Independent/chain music stores closing. 20. Suge Knight--Dramatically, turns life around or is killed. 24. James Brown--Dies by 2006. Records re-issued as hits. 25. Will Smith--Involved in big incident that elevates him to HERO status in the eyes of the public. Some type of life-saving happening. Maybe 2006-2007. He divorces Jada. 26. Denzel Washington--Plays Christ-like figure in controversial movie/play. 27. P.Diddy--Mental breakdown brought on by exhaustion/stress. 28. Tavis Smiley--Brouhaha sends him packing. Career gets stuck. 29.Tyra Banks--Her status takes a dive, maybe due to marriage/motherhood. 30. Condoleeza Rice--Basically runs the next war. You are stupid and racist for the so-called "predictions" that you have only made on black entertainers. You are a hater and a loser! You are the only true NAGGA.